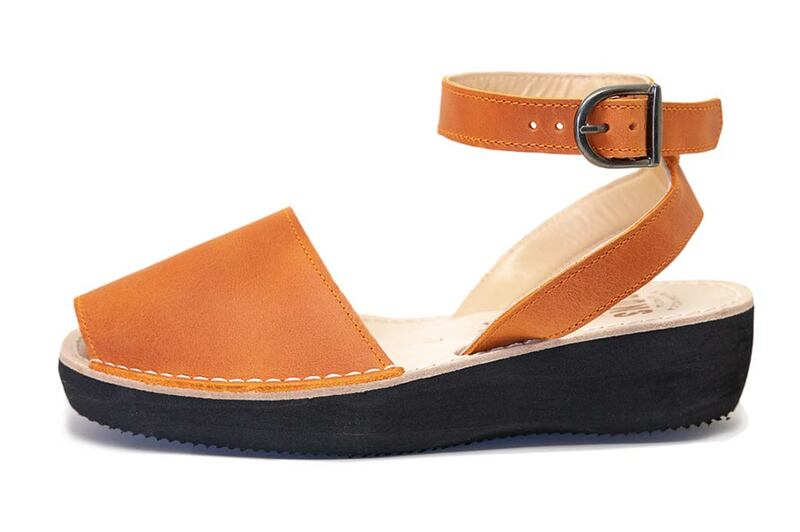 Bring a breath of fresh air to any look with our citrus inspired Mediterranean Pons Avarcas in Orange. 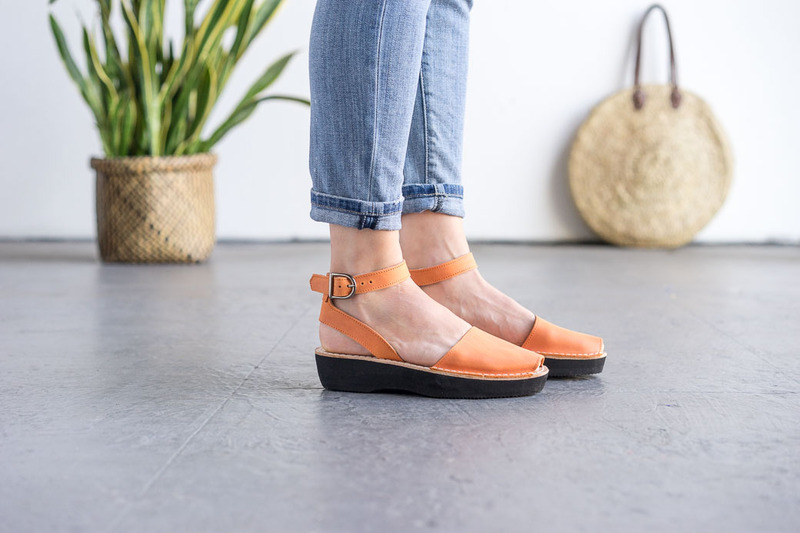 These Avarca sandals are handmade in Menorca Spain by local artisans using high quality all natural leather and have a 1.5 inches (3.80 cm) lightweight micro-pore anatomical platform sole. Wear them with fun patterns to bring out warm undertones or pair them with denim and wear this color boldly as you feel empowered to tackle anything that the day may throw at you.